Image: I took this photo moments after the avalanche began. The speed and ferocity of this avalanche was terrifying. Keith Cowing: There was a massive avalanche off of the west shoulder of Mt. Everest this morning. 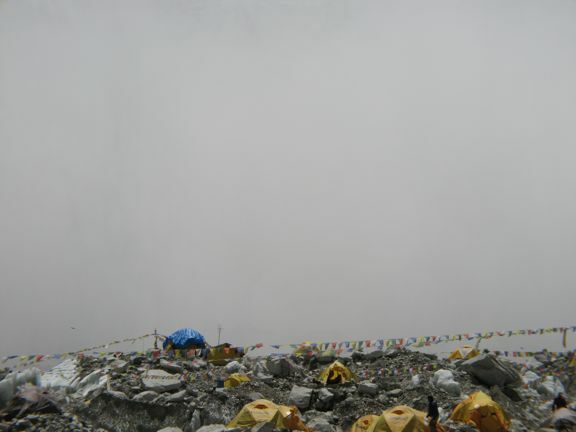 Within a very short period of time the entire lower Khumbu Icefall was enveloped in pulverized ice and snow. I will have a longer report and a video of the avalanche online in a few hours. 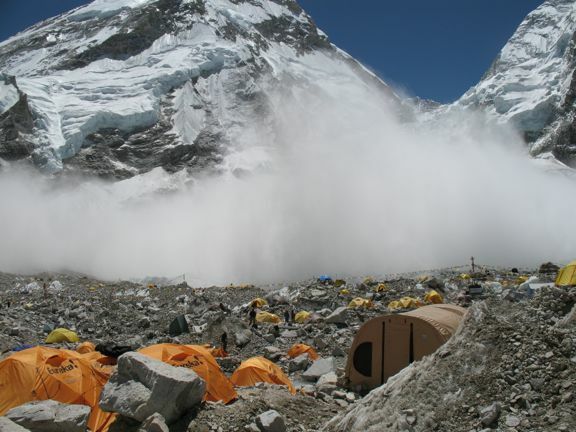 Image: The cloud of pulverized ice spreads out quickly over the lower Khumbu Icefall as seen from Everest Base Camp. 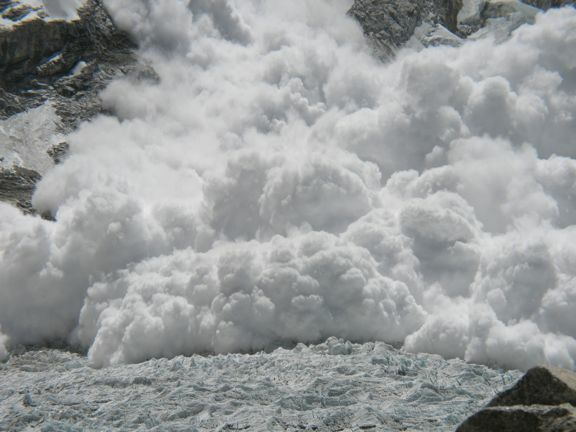 Image: (closeup) The cloud of pulverized ice spreads out quickly over the lower Khumbu Icefall as seen from Everest Base Camp.